Check out this incredible bio of one of the most mystifying stories of Greek ancestry in the colonial US: Marianne Celeste Dragon. 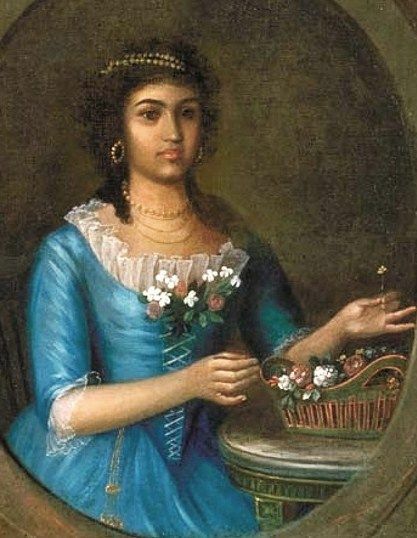 She was the first Greek to be born in what is now the US, specifically in New Orleans back on March 1st 1777 when Louisiana was still a French colony under Spanish rule. Her father was Michael Dracos, a merchant who had emigrated to New Orleans from Athens circa 1766. A shrewd businessman, Michael traded in one of the most important commodities of the New World–slaves. Meanwhile her mother was a free woman of color named Françoise Monplaisir who probably descended from mixed Cajun/Native American ancestry. So this Marianne Celeste Dragon passes as white (even though racially she is complicated) to marry another Greek immigrant Andre Dimitry. He was from the island of Hydra (two Greeks in New Orleans at that time hooking up-what are the chances of that?) Down the road, in 1853, her grandson George Pandelly attempted to get a seat in city government. However, his opponent Victor Wiltz exposed his family’s matrilineal African ancestry, causing him to lose. Eventually one of their sons, Alexander, became a US diplomat, linguist, scholar, and assistant Postmaster General of the Confederacy. This just proves the case that Greeks have politics and public service in their veins from the founding of this nation. (Thanks to Professor Chris Makrypoulias and the Julien Hudson Exhibit of Art in the Collections of the Louisiana State Museum, gift of John T. Block, 05750 for the info). Thanks for sharing this. I am descended of Marianne through her son Alexander and grandson Jean Baptiste Miguel Dimitry. My great grandparents were second cousins. One slight correction, Pandelly did win his case, but neve collected any money. Feel free to visit our FB page Dimitry Dragon family!